Our client came to us to request the removal of a rather outdated bedroom fireplace. 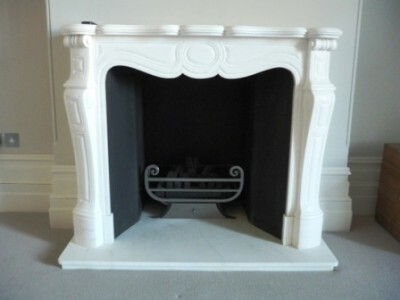 They wanted a more elegant focal point in the bedroom and therefore chose the Louis Pompadour fireplace by Chesney’s. 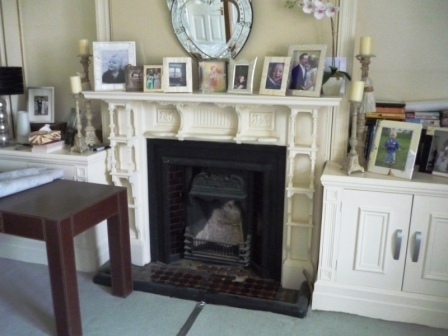 The Pompadour fireplace is a small French style marble chimneypiece of 18th century design having moulded panels to the frieze and jambs beneath a serpentine shelf. 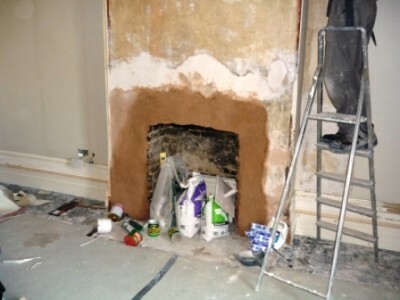 The installation came complete with the ‘Tyndale’ modern fire basket also from Chesney’s.